We purchase these sets from the Alabama Industries for the Deaf and Blind and sell them as a continuous fundraiser. The majority of our sales occur between Thanksgiving and Christmas as Christmas presents for children. These are also very popular with the elderly citizens because they allow them to clean bathtubs, showers, etc. without excessive stooping or climbing. We added the regular size mops and brooms to our inventory in September of 2013 because we were getting numerous requests for them. White canes are the universal symbol for the blind. We passed out miniture white canes at our tent at Strawberryfest May 10-11, 2013 in an effort to bring more awareness to the the ever increasing loss of vision due to diabetic retinopathy. We collected donations and we passed out balloons on a stick with the white cane logo to kids as they passed by. Carpenter bees pose a very significant problem in this area of Alabama. They bore into wood, destroying decks, siding, fascia boards, etc. Fortunately, we have a very skilled wood worker as a member of our club that built several of these bee traps to sell as a fundraiser at our tent at Oktoberfest and Strawberryfest. 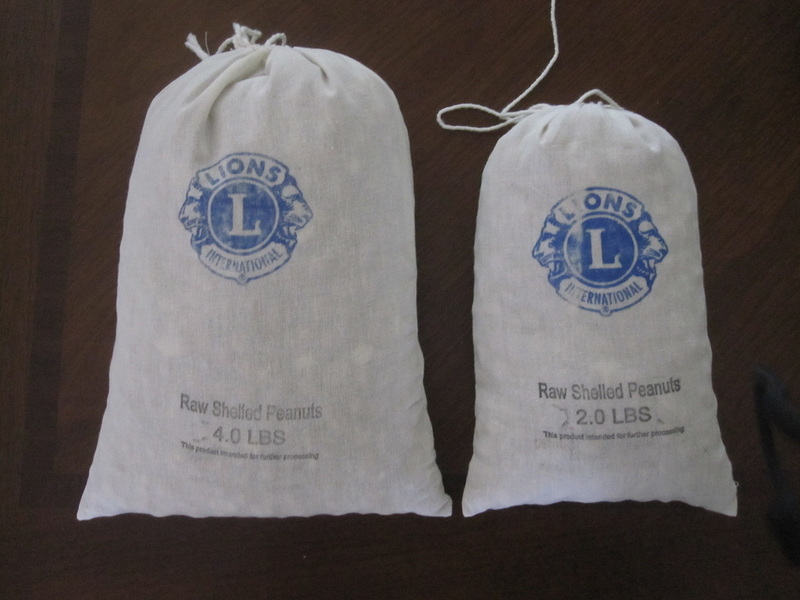 In October 2014 Alabama Lions Sight negotiated a deal with a peanut grower in south Alabama in an effort to bring peanut sales back as a Lions fundraiser. The peanut fundraiser sponsored for four years by Alabama Industries for the Deaf and Blind was very lucrative for many Lions Clubs but fell by the wayside.